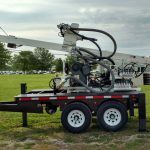 When it comes to dependable geothermal drilling and water well drilling, no other drill in the SIMCO line up is more dependable than the new SIMCO 2400. 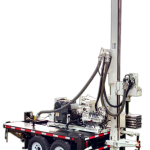 This robust, portable drilling rig has proven to be low maintenance, compact, and powerful throughout all of our testing. 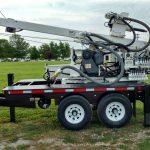 While the 2400 SK-1 has been a reliable, ideal choice for geothermal and water-well drilling, we found a way to make it even better. 2-Speed Drillhead – 2000 ft. lbs./90 rpm., or 1000 ft. lbs./180 rpm. Hydraulic Winch – 2550 lbs. max capacity 190 fpm.